First of all, we would like thank you very much your participation in the session “Best Practices – Geodatabase Efficiencies” and sharing with us your passion for the geodatabases. We know that forty minutes isn’t enough time to cover all the topics that surrounds geodatabases, but at least, we hope that the session gave you new ideas to make your work more easy and productive. Create comprehensive schemas to structure the data of your organisation which can be easily accomplished by using one of the geodatabase data-model templates available for download from our website – ArcGIS data models, and ArcGIS Diagrammer. Use different storages types, which allows the use of your geodatabase by third party applications, and to access the geodatabase using SQL commands. Use versioning for the creation of complex editing workflows. 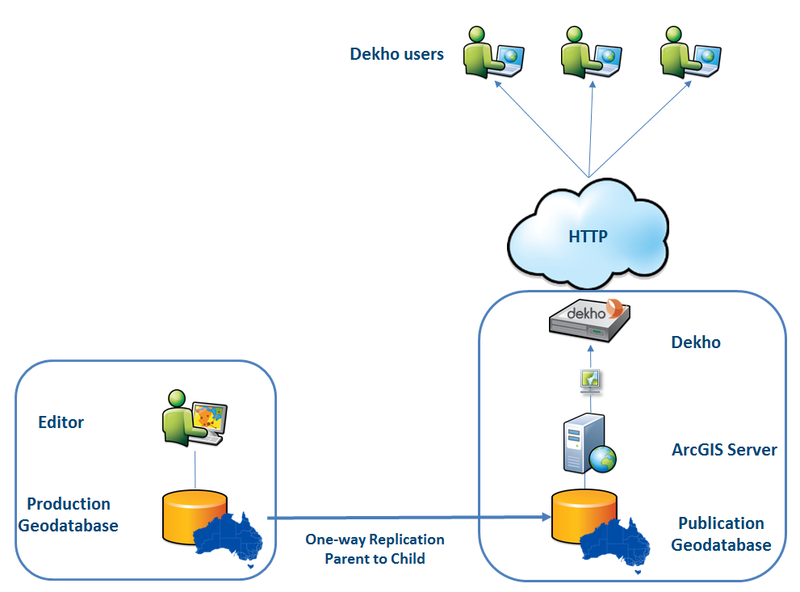 Distribute your spatial data using geodatabase replication to; for example, make the edits made in the production database available in Dekho without interruptions. 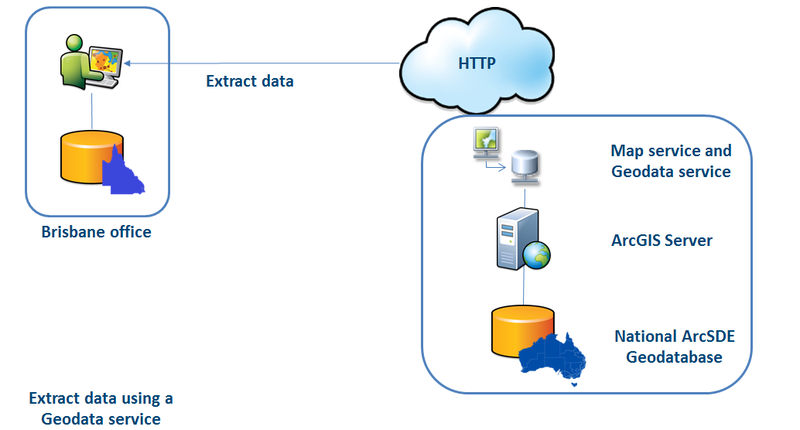 Share your geodatabase or part of it on the internet using a web service. This is especially useful when you want to publish a map service but you also want to allow your users to download the data displayed in the map service. 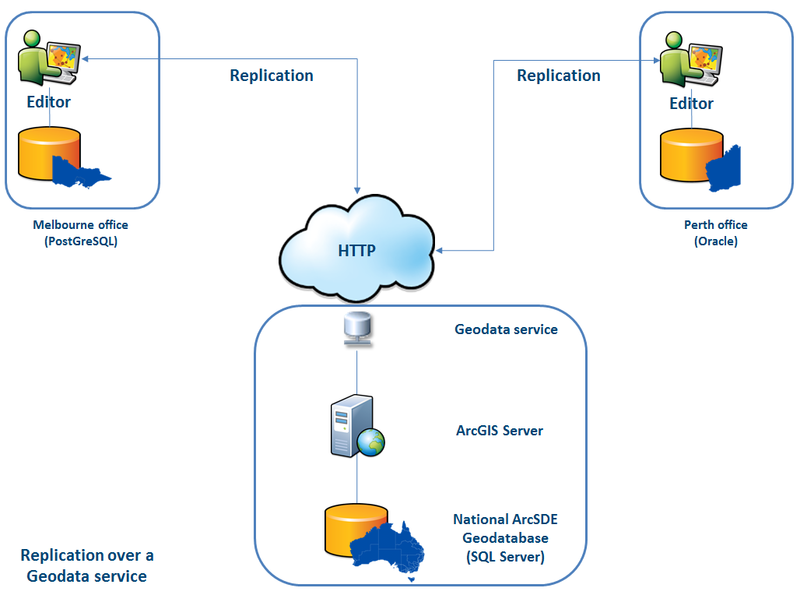 Replicate your geodatabase, or part of it, using a geodata service. This is especially useful when you need to share an editing workflow with users that are not connected to the local network of your production geodatabase. Since the replication functionality is provided by ArcSDE, you can use different RDBMSs and different storage types in each office. 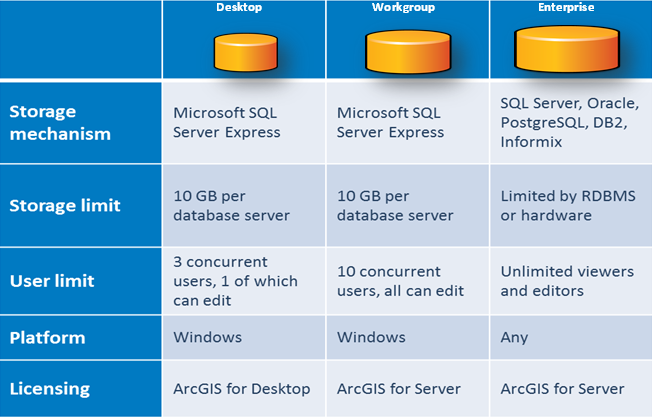 Independently of your ArcSDE license, Personal, for those using the ArcGIS for Desktop license, Workgroup or Enterprise – for those with an ArcGIS for Server Workgroup or Enterprise license, you have access to all these functionalities, the main difference among them being the storage limit and the number of concurrent users. The table below shows a detailed list of the differences among the different ArcSDE licenses: Hence, as we’ve seen, that ArcSDE technology does not only provides the functionality to create a repository and to store spatial data in your RDBMS but, in combination with ArcGIS for Desktop and ArcGIS for Server, the ArcSDE technology helps to accomplish complex data editing workflows and to share your data very easily. We leave below a list of links that might be of your interest. This entry was posted in Events, Ozri and tagged arcGIS, ArcGIS for Desktop, ArcGIS for Server, geodatabase, Geospatial Galaxy, gis, Ozri, Ozri 2013, presentation on September 5, 2013 by Esri Australia.